Want to Remove Watermarks from PDF Documents? Looking for Simplified Solution? Watermarks in the form of stamps, images, logos or signatures can be removed by using the tool. The operation is done instantly in a seamless manner and not even a single bit of data is lost from the processed PDF file. PDF Watermark Remover tool works towards removing watermarks from the selected files. 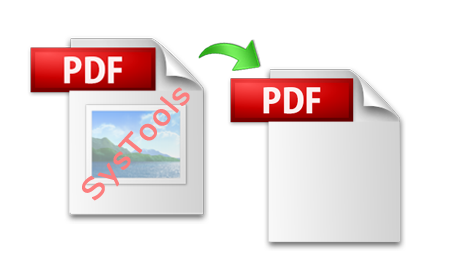 Multiple PDF files can be added to the tool panel and it will start performing the prescribed operation on batch files. The tool offers to add multiple files as well as folders and also enables removing the selected files and folders from the tool panel. This feature is beneficial if PDF is added by mistake and is required to remove without processing. While performing watermark removal operation, the tool generates and displays live or current progress report with details on PDF file name, path of the file and the status revealing if the file is being processed or not. The file that undergoes watermark stamps removal operation can be saved on any user-selected location on machine. There is a provision to select resultant files either by choosing any of the existing folders or by creating a new folder form within the tool. The files that are created using Adobe Acrobat can be processed by the tool for removing watermarks. It is mandatory that Adobe Acrobat 9.0 or below version must be installed on machine to initiate and complete the prescribed operation. The trial version of the Erase PDF Watermark software helps eliminating embedded stamps from the files but its limited usage will endorse its official watermark stamp on the selected file. However, this restriction can be ignored by purchasing the full edition of the tool. The licensed version is available in Personal, Business and Enterprise editions and can be acquired as per usability and requirements. The activation key can be obtained by contacting the Technical Support Staff through email, telephonic conversation or online chat. For any kind of product related queries, Support team can be contacted which is available for assistance 24*7. Does the tool works over all versions of Windows OS? Yes, the tool works well over Windows 8.1 an all lower versions. Is there any file size limitation imposed on the PDF file that needs to be operated? No, there is no such volume limitations assigned on the PDF documents. Does, the tool removes all kind of watermarks from PDF files? Yes, the tool removes text, stamps, images, signatures, logos and all other watermarks from the PDF files. Is it possible to operate numerous files altogether? Yes, the tool supports batch processing, so multiple files can be added to the tool panel for execution. If the file is created over PDF Creator tool, does the tool supports such files? No, only the files created using Adobe Acrobat Reader 9.0 or lower versions can be added to the panel of the tool for execution. I got some PDF files that contain watermarks on them. To share these files with my colleague, I need to erase PDF watermarks first. I came to know about this tool (which is designed to remove watermark from PDF) from one of my friends and purchased the same. I found the working of the tool quite impressive and efficient. I was in search for a tool that can help executing batch PDF files altogether as I got bulk of files with watermarks embedded on them. This tool allows me to add multiple files at single time instance and operates them efficiently. The capability of the tool to maintain data integrity is awesome and I am quite amazed with its performance. Since my requirement was to remove PDF watermarks but I was quite particular in my search for the solution as these files contains crucial information. The Watermark Remover not only helped me in removing the watermarks but also maintained the attributes of the PDF files. Thanks to the tool! I got bulk PDF files that have different kinds of watermarks embedded on them, including images, text, logos, etc. I was searching for a tool that can remove all kinds of watermark stamps. This tool helped me in removing these stamps in no time as well as performed batch operation on the files and hence saved my time as well.